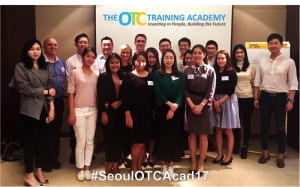 Our ‘Winning in OTC Pharmacy’ workshop was designed to build the skills and competencies of our OTC Marketers in Korea to focus on more consumer-centric opportunities to build brands in this highly fragmented market. 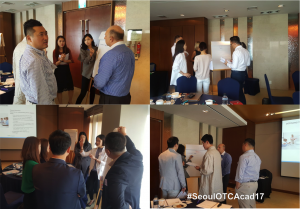 Throughout the day, the team tackled a case study on probiotics within the Korean Market. A category, which is notable for the lack of major brand leadership, indicating the absence of a portfolio of strong differentiated brands. It underlined the importance of creating owned benefits that are relevant and inspiring to our customers and consumers. It was also significant in understanding that we can make important contribution as individuals to the health and growth of our brands. Despite the very advanced nature of the Korean Market, in terms of technology, fashion, music, it was remarkable the lack of innovation and development in the OTC market. Pharmacies have not changed in decades and are still the typical ‘traditional pharmacy’ that is strongly focused on prescription and does not develop or value self medication or self selection products. However, a wow for me is the openness of organisations to change their culture to be more brand centric and consumer focused in this self medication industry. People are hungry to learn and experience in order to build stronger brands and I believe that there is an emerging trend, which is driven by major local companies. The results within the Korean Market will be a vibrant and growing platform for consumer healthcare.